Tract #1 is a small 5 +/- acre parcel of land that is presently in alfalfa. It could remain farmland in the future or could be converted to residential/limited commercial use. 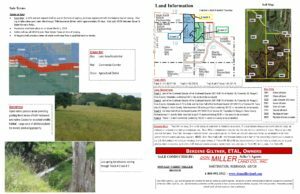 Tract #2 is a combination farmland and pasture with outcropping of trees. Productive farmland for the area. Tract #3 – this mainly pasture parcel has a large amount of trees and wooded area facilitating an abundance of wildlife habitat for both large and small wildlife. 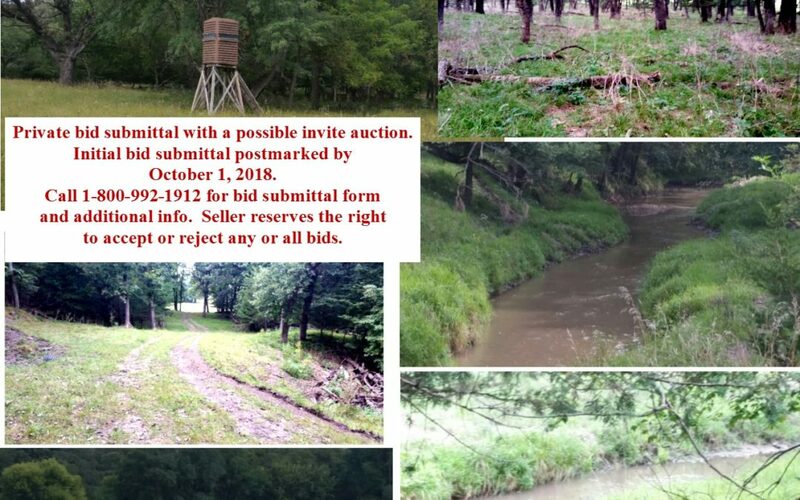 NOTE: Both Tracts #2 + #3 – the Weigand Creek is not part of the owned real estate and is owned by the U.S. Government with access provided to present owner. 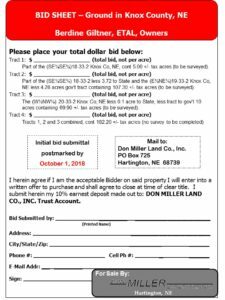 If Tracts #1, #2 or #3 are sold separately a survey will be completed at Sellers expense prior to closing, along with a 30′ ingress/egress easement along north and east side of Tract #2 for the benefit of Tract #3. 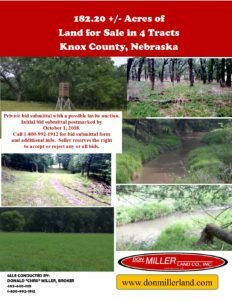 Tract 1: part of the (SE1/4SE1/4) of 18-33-2 Knox County, Nebraska containing 5.00 +/- tax acres (to be surveyed). Tract 2: part of the (SE1/4SE1/4) of 18-33-2 Knox County, Nebraska less 3.72 to State and the (E1/2NE1/4) of 19-33-2) Knox County, Nebraska less 4.28 acres gov’t tract containing 107.30 +/- tax acres (to be surveyed). Tract 3: (W1/2NW1/4) of 20-33-2 Knox County, Nebraska less 0.1 acre to State, less tract to gov’t 10 acres containing 69.90 +/- tax acres (to be surveyed). 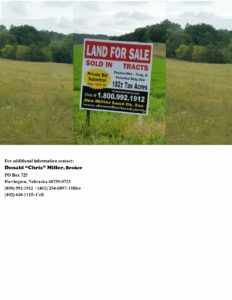 Tract 4: Tracts 1, 2 and 3 combined, containing 182.20 +/- tax acres (no survey to be completed).